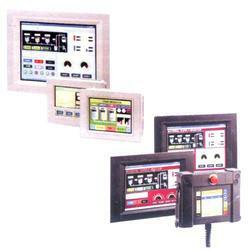 Our product range includes a wide range of touch screen hmi. We are distributor of HMI (Human Machine Interface) Touch Screen HMI also called Operator interface and provide its different size 4.6 inches to 12.1 inches and 300*100 pixels screen resolution for clear display. HMI connects to a wide range of controlling devices like PLC and provide various series of HMI according to the customer need. Looking for Touch Screen HMI ?